The Press of Robert LoMascolo: Didn't get what you wanted for the holidays? Didn't get what you wanted for the holidays? You are in luck! 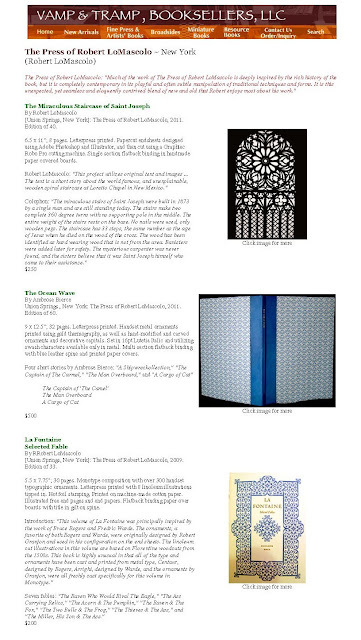 Vamp & Tramp Booksellers has just listed three RL Press books on their website. Take a look! Or, visit Copperesque in Union Springs, New York for blank journals and cards. Or, even better yet, commission your own unique book, cards, or stationery!